published by lennie cox in "Our Day's Encounter" - Thanks! A friend of mine died recently. I know his wife and children and we have kept in contact through the years, now through email and facebook. I have had many friends die on me, and it's easy to keep moving on because I trust all is well and as it should be. This one has a different impact for a very strange reason. My friend's wife sent me a file he had saved on his computer. He had written about me in the past tense, almost as if he knew me as already dead. That has a strange impact on me - making me wonder about our relationship. I explained this to his wife, and she said, "I see what you mean, but you are probably thinking too hard. He may have just assumed you would die first, so he had your obituary ready." She wasn't sure that was true, but I've decided to accept it as truth, so what follows is my obituary written by a friend who died before I did. I think it would be nice to be remembered in this way. Some of you will know from the style who it is. It is a style of writing we all were using at a certain point in time - he just never stopped. Till now, of course. I feel I should thank him and honor him by sharing his kind words. He remains unnamed to respect his wife's wishes for privacy. he invited me to his apartment in san diego. we would drink. laugh. walk down to the corner and buy vegetables. he would allow me to read the poems people sent him. he seemed to be angry at times that people would send their work without thinking just to waste his time, and he also seemed angry that he felt obligated to give each reader a close reading "just in case there was a treasure hidden among the crap." he was not a kind editor, but he was a kind and generous host. he made me feel welcome any time to sit and think and talk and play chess or scrabble and ask questions and tell my own stories. he gave me his own poems to read. he wouldn't discuss them. he told me that if they needed to be discussed then he was a poor poet, and he apologized for wasting my time. when he moved to san jose we corresponded several times a month, sharing our new poems and family stories. 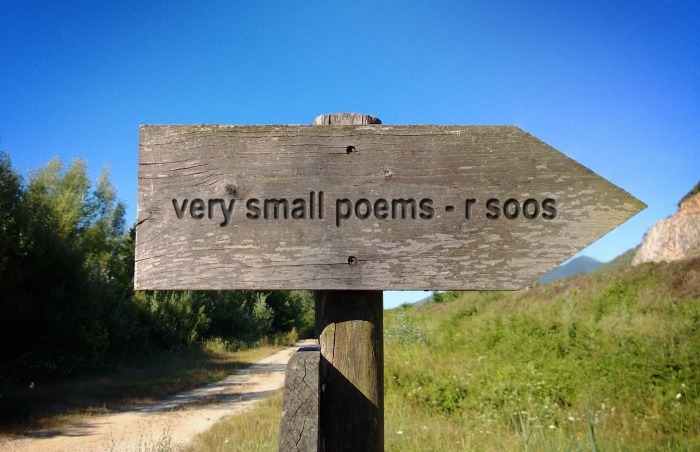 in his poetry, soos focused on solitude and simplicity. he saw life and poetry as one, and as such each is expressed with no pretense, no artificiality, no extra literary affect added. he believed life and poetry should be understood without the need of analysis by anyone coming in contact in person or on the page. honest and direct, his poetry thrived on experiences free of intellectual or scholarly whilygigs. he saw true poetry as a welcome journey through the depths of inner experience. he said that "poetry and life are both experienced as freedom through nature strengthened by the spirit of light. life and poetry provide each of us with a unique inner light which guides us on a path through the darkness." "work that must be analyzed by a phd student in order to be understood by my neighbor is not truly poetry - because it is the analysis that my neighbor understands and appreciates. the work itself remains a game played by a wordsmith who has no intent to communicate with his fellow humans. this is proven by the next phd student who finds a completely different analysis of the same words. one must be very careful. A simple poem about how old age has the effect of causing exaggeration of memories by Robert Frost has completely been destroyed by "the academy" (anyplace academics hang out) and is now used as an uplifting quote for a graduation speech because a simple, honest, truthful reading is no longer 'acceptable' in the halls of university." "poetry looks deep into our life. from time to time it makes us shout. it always keeps us from pitying ourselves. tears fall, sweat flows. we savor experience unconcerned with circumstances. poetry is the sound of our soul. anything not present in our heart is not poetry. moon flowers insects water - all these are present wherever we walk and while more apparent in the desert, we realize their importance all over this earth. no place exists without them. this is essence, this is poetry." 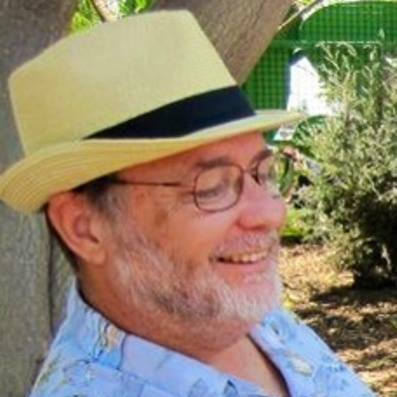 Rich Soos, the man behind Cholla Needles (which is now known as Cholla Needles Art and Literary Library now that non-profit status has been bestowed), has been publishing monthly collections like this since 1973. His early poetry magazine Seven Stars even published early works by Charles Bukowski, among countless others. Soos, a poet himself, has masterfully focused on the overlooked medium of the Haiku for his prolific output. For me, one of his most visceral efforts is his book "Fiddlin' Around In An Orchestrated War," a war-themed Haiku collection that contains a not just a lifetime... but a deathtime, in each economical, solemn outburst. Your stomach will churn with breathless empathy, thanking God you may live a life of trivial challenges in contrast to these realities of true sacrifice. A true man of God, Rich Soos has helped ignite a tight-knit yet ever-growing literary community up here through Cholla Needles and his monthly open-mic readings at Space Cowboy on the second Sunday of every month (see you this Sunday), creating a Church of The Word for many of us. While some believe writing is something that is earned for a select few, Soos believes that everybody should write, that it's an inherent other voice in all of us that he implores us to explore. A refreshing perspective, as he altered my own elitist attitude when he expressed this in his own "Personal Poetics" Teddy Talk last year. César Vallejo wrote the poems in this pamphlet in 1918 he was 26 years old. He grew up in Santiago de Chuco, a small village in the Andes Mountains. He went to College in Lima, a strong fishing and port city as well as the Capital of Peru. Vallejo's heavy Catholic upbringing is evident in the poems in the form of anger towards God as he struggled with the prophetic writings and began to see God as capricious - attacking mankind at will without regard to how individuals lived their lives. In the title poem he struggles with the third of the four "horsemen of the apocalypse", where famine is brought to the world. In the Catholic tradition, the messenger, or herald, on the horse is also known as an angel from God. Other poems in this selection from his first book explore the ports and fishermen of Lima, and look back in fond memory at the village where he spent his formative years. Published by Space Cowboy Books. Purchase by clicking here. You will see many other fine chapbooks published by Space Cowboy!